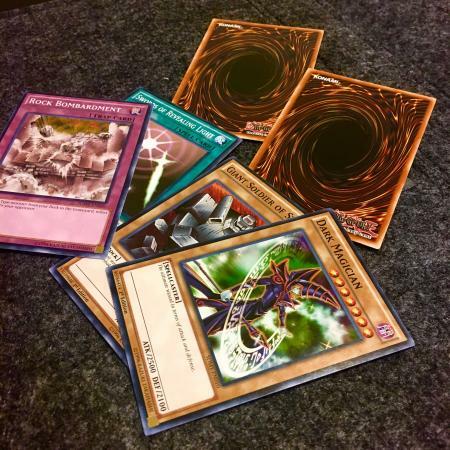 Yu Gi Oh is one of the most popular trading card games ever. Players of all ages from around the world join together to form a friendly community that is constantly evolving and playing an ever-expanding game. Competitive tournaments and friendly duel nights can be found in cities across North America, South America, Asia, Europe, Africa, and Oceana. What Is the Yu Gi Oh Game? In a standard game of Yu Gi Oh, two opponents duel each other by playing cards to summon monsters, cast spells, and set traps. The objective of a duel is to reduce an opponent's life points to zero. Players use decks of 40 to 60 cards and take turns playing these cards to out-muscle and out-smart their opponent. The Yu Gi Oh game is incredibly flexible and can be played by children as young as six years-old as well as adults of any age. New Yu Gi Oh cards are released constantly. These cards come in the form of starter decks, structure decks, and booster packs. 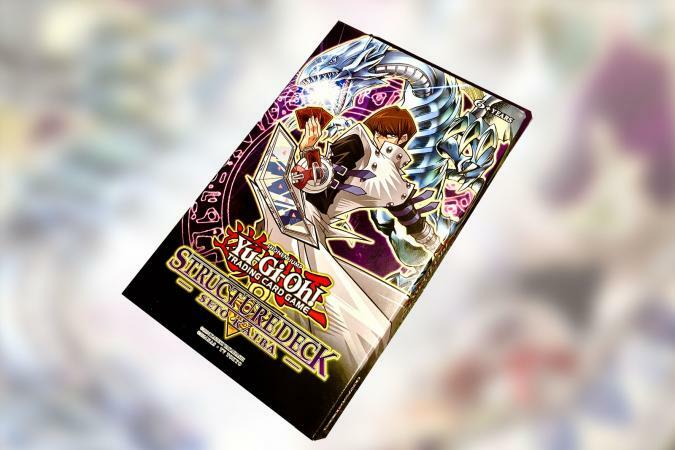 Starter decks are great for players beginning their Yu Gi Oh adventure, structure decks are great for players looking for powerful pre-built decks, and booster packs are great for adding extra cards to your collection. Cards from brand-new sets, as well as older sets, can be found on the Official Yu Gi Oh trading card website. In addition to cards, other Yu Gi Oh card products can be found on the Products page of the website. Buying Yu Gi Oh cards is simple. Many big-box retailers like Target, Toys "R" Us, and Walmart carry starter decks, structure, decks, and booster packs. If you want to support a local business, do a quick search for a local tabletop game shop. They are almost certain to carry an expansive selection of Yu Gi Oh cards. If you want to order online, Amazon is the best place to purchase new Yu Gi Oh cards. Amazon allows you to purchase starter decks, structure decks, booster packs, and even individual cards, if you know exactly what you want. Make sure you read reviews and only purchase cards from reputable Amazon dealers. If you are looking for cards that may no longer be in print, you can use the comprehensive Yu Gi Oh card database to find every card from every release dating back to the game's conception in 2002. Once you find a card you want, search for the card on Amazon or Ebay. If you're looking for starter decks, structure decks, or booster packs from older sets that aren't in print anymore, Amazon and Ebay are still your best option. The best place to keep up with new releases and events is the official card game website. Not only can you discover new card sets and their release dates, but you can also search for local events and tournaments happening in your hometown. If you want to get more involved with the community, you can follow one of the many Yu Gi Oh podcasts, or subscribe to the Yu Gi Oh YouTube channel to get the latest news and take part in discussion board conversations. Check out the video below of a recent Yu Gi Oh event in Atlanta, Georgia. There are plenty of resources to learn how to play. First, read the Beginners Guide and Official Rule Book. Both of these documents are available in PDF formats you can easily print or review onscreen for quick referencing during a game. Additionally, the video below does a great job of explaining how you play the game all the phases in a turn. One of the best ways to get acquainted with Yu Gi Oh cards is to download the free Yu Gi Oh Duel Links app. If you want to explore, this is a must-have app on iOS and Android. Duel Links teaches the game from its basics all the way through advanced strategy and deck building. Duel Links is free to play but has easily avoidable in-app purchase options. If you are not sure you want to commit to purchasing cards, or want to gain more experience without finding another person to duel against, the Duel Links app is a great place to start. Above all, the game promotes manners, friendship, fun, and community. Anyone looking for a fun game with an established community and plenty of support for beginners should give Yu Gi Oh a try. Cards are relatively inexpensive compared to other trading card games and provide unlimited fun.